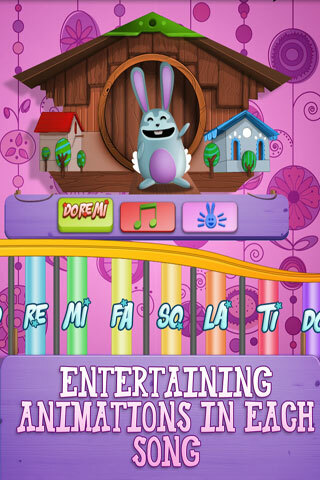 you´ll come across entertaining animations and drawings in each and every song! KIDS MUSIC MAKER is designed to stimulate children´s musical development and help them enjoy all the instruments and songs in a quick and easy fashion. 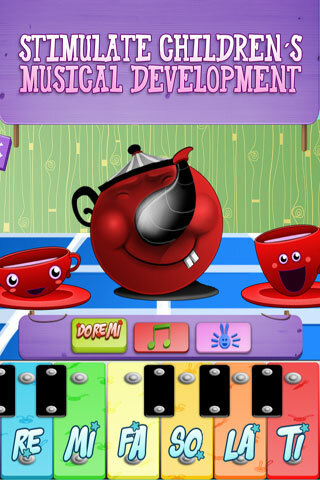 Enjoy one instrument and one song FREE, and discover 5 more incredible musical instruments and magic songs in the COMPLETE VERSION of KIDS MUSIC MAKER. 1. AUTOMATIC MODE: As you hear the song, the corresponding notes will sound and light up so that you can follow along with them and learn the melody. 2. LEARNING MODE: You will learn the melody easily using this mode. All you have to do to play the melody is follow the order of the notes as they light up. 3. FREE MODE: Play your favorite song with your favorite instrument. 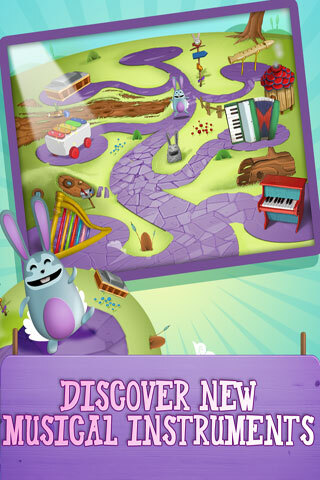 Guide the bunny through its musical planet and find all the instruments. 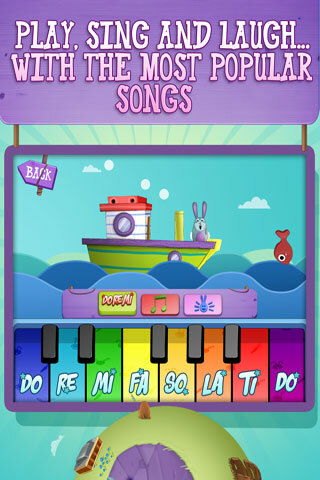 Play, sing and laugh as you play your favorite songs and learn your first musical notes the fun, easy way. 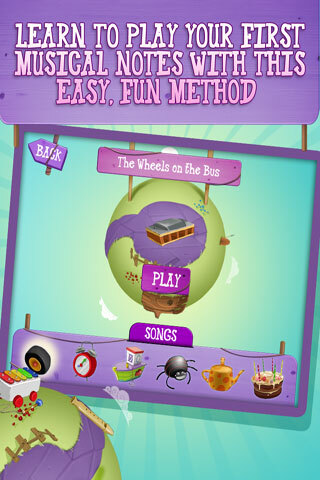 In addition, you´ll come across entertaining animations and drawings in each and every song!